Laptops, mobiles and tablet devices are a part of life – and your child’s education. But, when used incorrectly, adolescents can get headaches, neck pain, shoulder tension or an achy back. 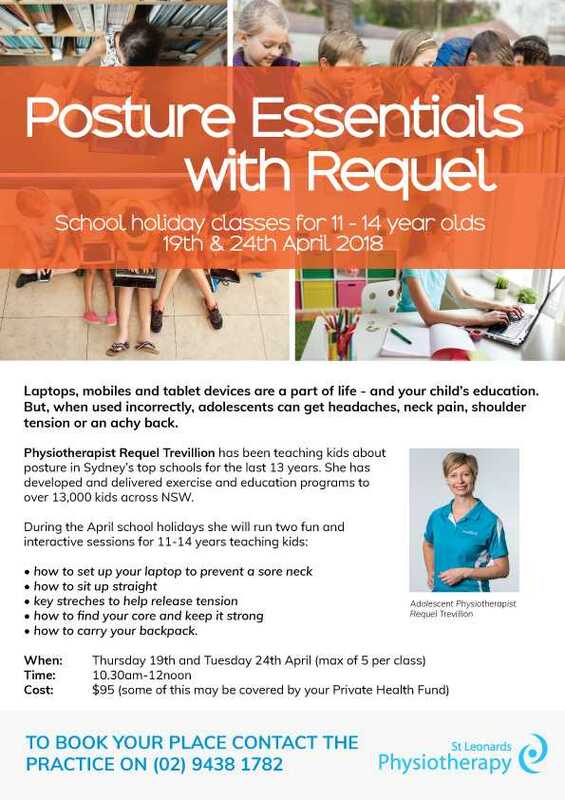 Physiotherapist Requel Trevillion has been teaching kids about posture in Sydney’s top schools for the last 13 years. She has developed and delivered exercise and education programs to over 13,000 kids across NSW. • how to carry your backpack.